Making something useful (I stress useful, as we have all at one point or another DIY’ed stuff that was completely pointless) and pretty is irresistible to me. When I came across this blog and saw these little babies, I knew I was in trouble. I used Financial Times newspaper and How To Spend It magazine to make mine. The wonderfully thorough instructions on how to make them are taken from this addictive blog by Jessica. I couldn’t describe the process better, so I decided not to even try. It’s very exciting how different they can look depending on what newspaper was used. The Financial Times little bag has this wonderful retro feel to it, where the ‘How to Spend it’ one is a little more girly and fashionable. They can also be various sizes. 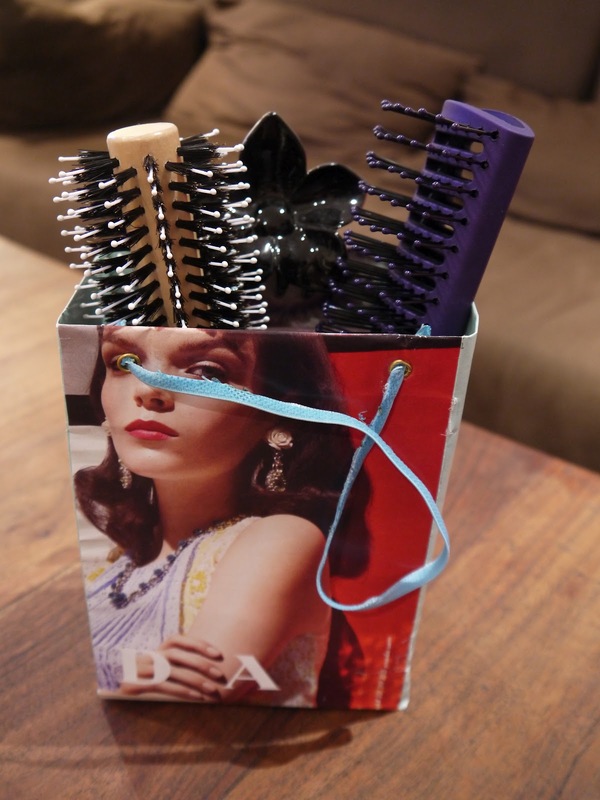 These gorgeous little babies can be used as gift bags, of course, but if you feel a little more jazzy and adventurous you can use it to organize your hair brushes for example! I love it how the string comes right through her eye... sorry. A little immature. Have some good fun making them and let me know how you got on. Show me the creative in you! This is AMAZING! 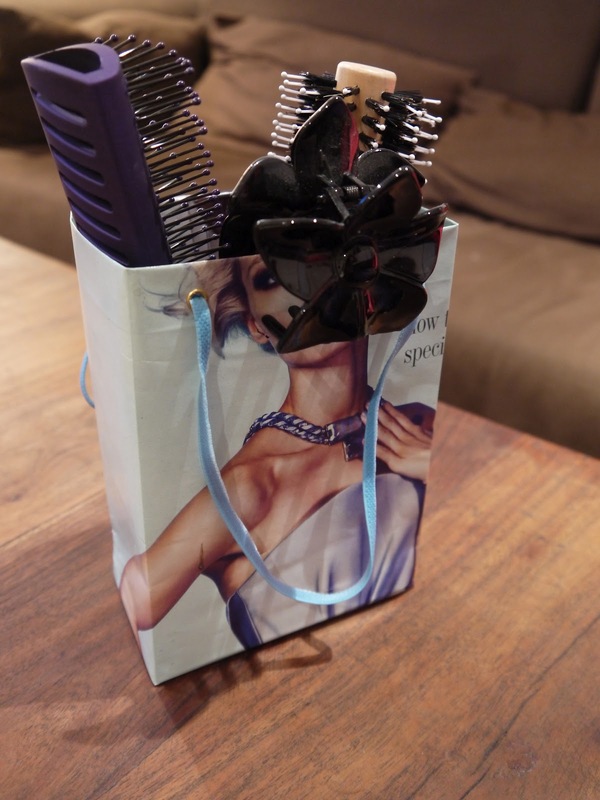 I always try to decorate my gift bags by gluing sh*t (not literally) on them but this is waaaaaaaaay classier! My name is Greg and I am contacting you from Urbanspoon. I noticed that you have spoonbacks (the Urbanspoon image links) at the footer of your blog. Thanks for linking to us! However, in order for the spoonback system to work correctly so we can link to your blog, it is necessary that the spoonbacks be placed in the actual posts themselves. So if you can please move the spoonbacks in to your posts for the corresponding restaurants, then we will be able to link to your blog on Urbanspoon. Please let me know if you have any questions.